I hate to quibble about grammar, but your editing missed the instance where the writer said: "Not only is the star itself mostly blue, but blue light from the star is preferentially reflected by the dust -- the same affect that makes Earth's sky blue." The correct word is "effect". I expect better from rocket scientists! I hate to quibble about grammar, but your editing missed the instance where the writer said: "Not only is the star itself mostly blue, but blue light from the star is preferentially reflected by the dust -- the same affect that makes Earth's sky blue." The correct word is "effect". Well, we're rocket scientists, not brain surgeons! Nor is there one at the end of a space flight with all the landing parameters programmed in advance! I wonder who came up with "There is no eraser on the end of a scalpel."? The internet gives credit to "Douglas Leonard Martin in a letter to FDA in 1975"
<<Sometimes the key to innovation is staying simple. Italian tech company D-Orbit applied this principle to their winning product submitted to last year’s Space Exploration Masters competition. In the case of D-Orbit’s Fenix propulsion system, the idea was both simple and small. 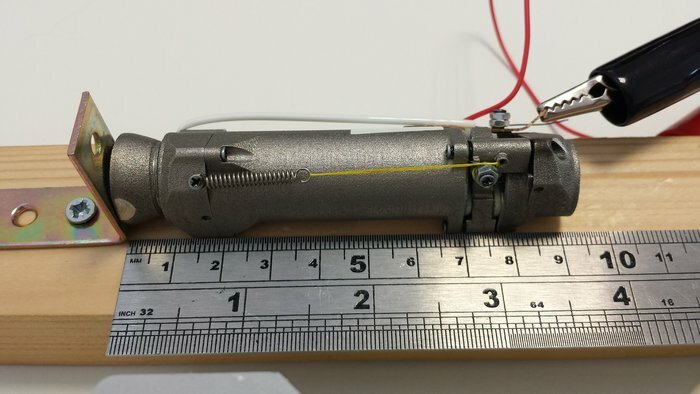 The pen-sized booster prototype, is just 10 cm long and 2 cm wide – allowing small satellites to work smarter and explore farther. The 10 x 10 x 10 cm CubeSats are deployed directly into orbit from space. They currently have no propulsion system to change orbit or deorbit at the end of their missions. With the FENIX, CubeSats could be employed for longer missions farther out in space. Each of the four boosters is packed with solid propellant that provides thrust which is triggered by a simple electrical ignition system. The boosters can be configured at each corner of the CubeSat or doubled up on either side. Thanks to their lightweight and compact size, they do not take up much instrument space. ... the same affect that makes Earth's sky blue." The correct word is "effect". Sorry. I just fixed it on the main NASA APOD site. Thanks! The brown tint of the pervasive dust comes partly from photoluminescence -- dust converting ultraviolet radiation to red light. Is that another way of saying that these dust clouds glow a dull red because of low-level Hα emission, presumably caused by stray ultraviolet photons emitted by rare and distant hot stars and even rarer and hotter cataclysmic events? Or to put it differently: The brown dust clouds are in reality very faint emission nebulas? 0571-7256/07/5004-0548 : 2007 Springer Science+Business Media, Inc.
(2) cathodoluminescence of cosmic dust excited by fast electron and proton fluxes that form part of a stellar wind. Other possible processes should not be excluded, in particular, thermoluminescence and ion-luminescence of cosmic dust.